Kids seem to be drawn to sugar like moths to a flame. But we all also know that too much sugar, from any source, is bad for us. And, then again, children, unlike adults, need to eat a minimum amount of carbohydrates per day, and may need some fast-release carbohydrate at times, due to how energetic they are. As a parent, it can be very difficult to control our kids’ sugar intake, so it is important to approach this challenge logically. The first thing we need to consider is that children below a certain age do not experience sugar like we do. Under the age of four or five, our children’s limit for sugar is the sky. Seriously, they have done studies where they dissolved gradually increased amounts of sugar in water, and whereas older children and adults had a point where it was “too sweet” to drink, children under the age of five had no such limit. So, naturally, we need to restrict sugar access at this age, not just for their health, but to program their taste buds against overly sweet things later in life. So how much sugar is too much sugar? 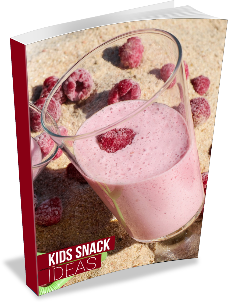 Most kids only need three or four child-size servings of carbohydrate a day, so it is important to realize that at most one of these can be high in sugar. We may think we are doing a good thing if our kids get sugary cereal and banana for breakfast, toast and jam for lunch, jacket potatoes and sausages for dinner, and an ice cream for pudding, but that is already five servings, four of which are largely simple sugars! Make sure to only offer white starches and sugars once a day. A better day would be a soft-boiled egg, toast and butter, a jacket potato and sausages, and then a small fruit cup for pudding. Even sugars from natural sources, such as fruit and honey, can cause issues. Sugar, at the end of the day, is still sugar, even when there is some fiber in it, and even when it is a natural source of sugar. It will still spike your child’s insulin, increase their sweet tooth, and mess with their appetite. Far better to stick to things that do not taste sweet. Especially when choosing foods for younger children. By curbing their cravings and feeding them a variety of non-sweet foods we are showing their bodies what good energy there is in starch, protein, and fats, and that sweet things are a rare treat, not everyday life. This sets them up for a low sugar childhood, and life. To help your older kids make better sugar choices, make sure to educate them about the importance of reducing sugar, and cooperate with them to find alternatives. Your kids may hate carrot sticks and hummus, but may love toast and butter or roasted chickpeas. By working with them, rather than against them, you stop being the bad guy and making sugar such a desirable, “special” food! When permitting sugar, we need to also consider our kids’ metabolic needs. Sugar makes for a terrible breakfast or dinner food. Sugar at breakfast limits the amount of protein your kid eats, resulting in an energy crash and brain fog. Prioritize proteins and fiber at breakfast. And at dinner it may give them too much energy and affect sleep. So make sure they get plenty of slow release starches, to help them wind down and sleep deeply. Instead, we should try and feed a small amount of sugar as a mid-morning or mid afternoon snack, to keep our kids propped up throughout the day. Children burn a lot of energy through the day, so they are likely to burn out eventually no matter what we feed them. And young kids may still be used to the frequent feedings they had as infants. Protein at breakfast and lunch will keep them going a long time, but often a small sugar boosts an hour before lunch and dinner can help them. Another great time to offer a little sugar is before, during, or after exercise. Before exercise always make sure to combine sugar, complex starches, and fiber rich foods, for a healthy, steady stream of energy. But after exercise a small amount of sugar to perk them up until their energy rebalances on its own is most welcome. When you offer your kid small doses of sugar at appropriate times you eliminate the idea that sugar is a special treat, a reward, or an otherwise emotional food. But you are doing this without forbidding it or making it a bad food either. It is important not to demonize any nutrient, food, or food group to your child, as this attitude can stick with them for life and encourage disordered eating. Instead, we can show them that each food has a time, a place, and a purpose, sugar included. This food may be very tasty, but it has a job to do, and that is why we do not eat it all the time!